If you love reading you can download these 6 Windows Apps for reading to build your personal library on Windows Smart Phone for unlimited reading rights at your fingertips. Books are the best friends. Today's live is quite hectic and you need some fabulous apps to read books on-the-move. April 23 is celebrated as World Book Day. An avid reader would love to enjoy reading as when possible amidst busy schedules. These apps empower you to enjoy endless reading on your smart phone any time and anywhere. At times you might not be interested in reading but listening to a book. Audiobooks from Audible is to assist you in that regard. There are more than 200,000 audio books and periodicals narrated in a pure professional manner to enjoy. 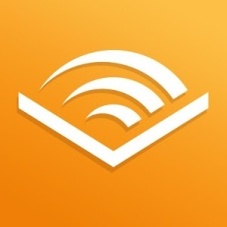 The app enables you to get insider knowledge about author events and beyond with the help of Audible Newsfeed feature. You get a full control of managing listening experience with Cortana voice commands and button-free feature. 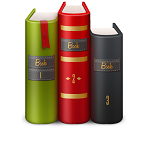 FB Reader can organize your books in various orders – by author, tag, series, title, genre, and so on. Searching books is quite easy. There is a built-in local library to browse books and you can edit the information as per your wish. 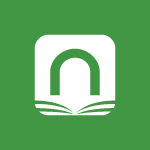 The app also has an in-built access to most popular online libraries such as FeedBooks. If you are planning a career in software or want to expand your technical skills to improve your career growth, TechBooks app is there to give you an access to technical MSDN e-books in online and off-line modes. This app has more than 16,000 libraries and 10,000 school libraries. You get an access to these once you download the app in your smart phone. Besides e-books, the app also allows you borrow audiobooks and rich videos to listen to or stream. You can sync your OverDrive account on various devices so that you don't loose track of your books on any device. 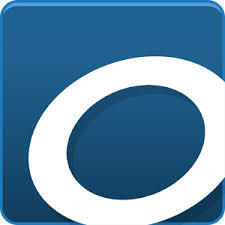 This is among the largest booksellers app across the globe. You can read any book you love to read. You can customize reading experience by viewing books with fonts, line spacing, and themes of your choice and comfort. The pages turn on a flick of finger. Nook app syncs automatically the last page you read. 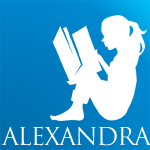 Alexandra Reader is a powerful e-book reader application to enable you to browse and share your favorite books. You can personalize font size, type, color scheme, etc. as per your choice. Hope you enjoy reading your favorite books on your Windows smartphone and other Windows devices. Happy Reading!